With all noses to the grindstone and the festive season firmly behind us, this is an opportune time to plan your financial blueprint for the year ahead. As with most things, your finances need constant maintenance. 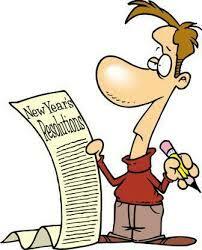 We’ve compiled a financial year plan to help you keep track of what you need to do this year. With the rug rats back at school this week, you should already have a plan in place for school fees. If you have the funds to pay school fees upfront for the year, find out if you qualify for a discount and then compare that to the interest you would earn if you put the money into an interest-bearing investment instead. The money could earn you more interest than the school fee discount and you can make payments on a monthly or per-term basis. If you are going to make regular payments rather than a single upfront payment, make sure that you make payment arrangements with the school. Boitumelo Mothoagae, head of customer retention and a financial adviser at Liberty, says now is the ideal time to start planning for any major expenses that you will have in the year ahead. “It might be a wedding that you have to attend and make travel plans for, a major car service if you are out of motor plan or an exotic end-of-year holiday. Start planning now so that you avoid going into debt later,” she says. Mothoagae adds that if you have a savings investment due to mature this year, you should also plan how you are going to spend or reinvest the money and continue to save the amount that was going towards the investment. This is a short month. Mothoagae says you should consult a financial adviser or tax consultant to help you optimise your tax return. Now is the time to get the taxman to pay for your retirement savings by topping up your retirement annuity. Make a note of your car mileage at the end of February if you use your car for business travel. Find out what expenses you need to keep track of and start getting your supporting documents in order for your tax return. Review your short term and long term insurance. Check that you are not over- or under-insured. 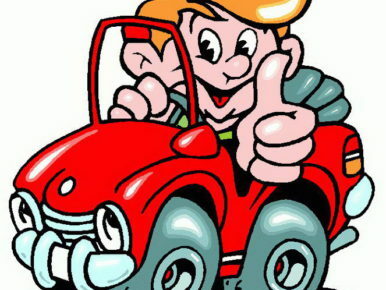 Find out if you are insured for the correct values on your car and household insurance. Shop around and compare quotations from other insurers but make sure that you know what cover each insurer offers for the premiums you pay. You may find that one insurer offers you cheaper premiums but will charge you a much higher excess when you make a claim. This can save you money each month but if you choose this option, then the money you save on premiums should go into an emergency fund so that you are able to afford the higher excess. If you have lost a significant amount of weight or stopped smoking in the past year, notify your long-term insurer so that they can reassess your risk and possibly adjust your premium accordingly. You also need to reconsider your life assurance needs if you have had a child, married, changed jobs, been retrenched or received a raise. 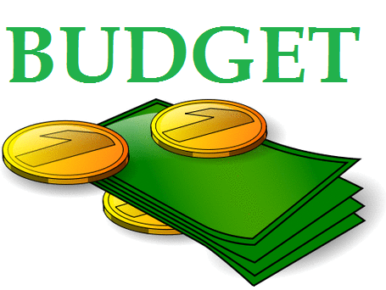 Your budget, which helps you keep track of your expenses and your income, is not a static document but needs to be updated constantly. 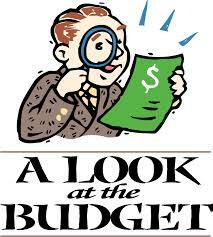 If you have not already done so, review your budget. “If you were paying R2 200 a month towards your credit card, which is now settled, build this amount into your budget. Rather than just blowing the extra money, use it to reduce other debt or put it towards an emergency fund,” Mothoagae says. When you are budgeting, take into account the interest you pay on different types of debt and make sure that you pay off the highest-interest bearing debt as quickly as possible. As the chill of winter creeps in, do an energy audit and find ways to cut down on your electricity costs in the months ahead. You could install a solar geyser, install energy saving light bulbs and make use of blankets to save on high heater costs. For example, if your average electricity bill today is R1 000, installing a solar geyser can save you R17 606 over a three-year period. Water heating alone accounts for between 30 to 50% of your electricity bill. The cost of a solar water heater varies between R7 000 and R35 000 and you can get a rebate from Eskom. Revisit your estate planning. Check that your will is up to date, that you have appointed executors and make provision for your estate duty costs. If you have children, your will should stipulate who their legal guardians will be in the event of both parents dying. If you haven’t already done so, get a flu shot so that you have an improved chance of not getting the flu as winter kicks in. Too often, people check their medical aid benefits at the beginning of the year and then forget about it until their benefits run out. Check how much money is still available in your day-to-day savings account and plan your regular doctor visits such as dental and optometrist check-ups. If you have a self-funding gap, find out from your medical aid how much you will need to spend before you get past the threshold so that your medical aid will cover your costs. This is savings month and a good time to review the fees on your different savings investments. Check that fees are not costing you more than they should by comparing different investment vehicles. “An endowment policy, for example, pays out tax-free but the investment company pays tax on your behalf during the course of the investment at a rate of 28%. If your marginal tax rate is lower than 28%, then this investment is costing you more than, for example, a unit trust investment would,” says Mothoagae. However, she cautions that you also need to take other factors into account, such as your investment period, how accessible you need your funds to be and the minimum contributions required. This is a good month for women to check the discounts available to them through different insurers and to review their budget. If you are in a relationship, it is important for both partners to be fully aware of their finances. Don’t leave everything to your husband. “Too many financial advisers are faced with widows who don’t have the first idea of how their own household finances are run, where money is invested or even where to pay basic accounts,” Mothoagae says. Don’t make the mistake of thinking that housewives don’t need life assurance because they have no income. If you have children, you need to factor in the cost of aftercare, in the event of your wife’s death. Use the positive spring energy to spring clean your clutter and get your admin filed and sorted.Most schools now require a term’s notice if you wish to change schools. So, if your child is going to be attending a different school in 2015, now is the time to hand notice to their current school so that you avoid forfeiting a term’s fees. The increases that medical aid schemes release at this time of year are average percentages across different benefits. Find out what the increase will be for your particular benefit option and then assess whether you want to change options or even medical schemes in the year ahead. Compare your medical needs with the benefits you can receive and the premium you are expected to pay for those benefits. This is the time to plan how you are going to spend your December bonus or tax refund– before you get it. You could make a lump sum payment into your home loan so that you can pay it off sooner rather than later, and save interest. Or you could put your bonus towards annual costs such as school fees, a major car service or home renovations. Whatever you do, make sure you have a plan so that you don’t blow the money in a frenzy of spending. Possibly the hardest time of year for even disciplined savers, the festive season is a smorgasbord of temptation for spenders. Curb your impulsive spending habits and stick to your budget. “Don’t forget that you still have to pay debit orders in December and account for them before you spend any money. Remember too that it is a long way to your January payday and after all the parties are over and the visitors have left, you still need to buy groceries and pay for electricity among other regular costs,” cautions Mothoagae. If you can afford to, arrange with your creditors to take your January instalments or premiums in December so that you have some breathing space at the end of January. This article was first published in City Press on 19 January 2014.